Alphabetic Phonics was developed by Lucius Waites, M.C. and Aylett R. Cox. Alphabetic Phonics is based on Orton-Gillingham techniques and emphasizes intense phonetic analysis of written language. The program is presented in a structured, multisensory sequence of alphabet, reading and spelling. Contact: Texas Scottish Rite Hospital, 222 Welborn Street, Dallas, TX 75219: 214.559.7815, www.tsrhc.org/dyslexia. Barton Reading and Spelling System was developed by Susan Barton. The Barton System is an Orton-Gillingham based program designed for volunteer tutors in adult literacy programs. Training is provided on videotape with fully scripted lesson plans. Contact: Barton Reading and Spelling System, 2059 Camden Ave., Suite 186, San Jose, CA 95124, 408.559.3652, www.bartonreading.com. Multisensory Teaching Approach (MTA) was developed by Margaret Taylor Smith. MTA is a comprehensive, multi-sensory program in reading, spelling, cursive handwriting, and alphabet and dictionary skills. Based on Orton-Gillingham techniques and Alphabetic Phonics. Contact: MTS Publications at www.mtspublications.com or 877.552.1090. The Herman Method was developed by Renee Herman. Teaches decoding, sight words, structural analysis, contextual clues and dictionary skills with consistent emphasis on comprehension. A remedial reading program that can be taught by trained paraprofessionals. A phonetic, structured, sequential approach based on the Orton-Gillingham Method and specifically designed for students with dyslexia/specific reading disability. Contact: Romar Publications, 4700 Tyrone Ave, Sherman Oaks, CA 94123: 818.784.9566. 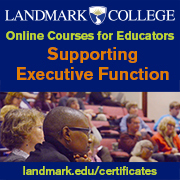 Landmark Methodology is a structured multi-sensory reading, spelling and writing program. Contact: Landmark Outreach Program, P.O. Box 227, Prides Crossing, MA 01965, 968.236.3216, www.landmarkoutreach.org. Lindamood-Bell was developed by Patricia Lindamood and Nancy Bell. Lindamood-Bell program offers intensive treatment to develop reading, spelling, language comprehension, visual motor processing, and the ability to follow oral directions. Contact: Lindamood-Bell Learning Processes, 416 Higuera, San Luis Obispo, CA 9430: 800.233.1819 / 805.541.3836, www.lindamoodbell.com/programs. Orton-Gillingham Method was developed by Dr. Samuel Orton and Anna Gillingham. Orton-Gillingham Method was developed and published in 1935. A multi-sensory, structured reading and writing program. Contact: Academy of Orton Gillingham, P.O. Box 234, Amenia, NY 12501: 914.373.8919, www.ortonacademy.org. Project READ was developed by Dr. Mary Lee Enfield and Victoria Green. Project READ is a method of teaching that is systematic, multi-sensory, concrete and involves direct instruction. It is a language arts program based on the theories of Samuel Orton. Contact: Project READ, P.O. Box 20631, Bloomington, MN 55420: 800.450.0343, www.projectread.com/. >Slingerland Approach was developed by Beth Slingerland. The Slingerland Approach is based on Orton-Gillingham techniques. All learning takes place through the involvement of the auditory, visual and kinesthetic motor channels. It is the linkage of these channels that individuals with dyslexia often find challenging. The Slingerland Approach starts with the smallest unit of sight, sound and feeling Ã¢â‚¬“ a single letter. Expanding upon that single unit, students are taught through an approach which strengthens inner-sensory association and enables the strong channel of learning to reinforce the weak. It is thorough and integrated, providing a complete language learning experience. Contact: Slingerland Institute for Literacy, 12729 Northup Way, Suite 1, Bellevue, WA 98005: 425.453.1190, www.slingerland.org. Starting Over Starting Right employs multi-sensory phonics, whole words, and language experience techniques to teach the building of words, vocabulary, and sentences. Assessment tools are included. Contact: Knight Education, Inc., 212.769.2760, www.knighteducation.com. Wilson Reading System was developed by Barbara Wilson. The Wilson Reading System is a 12-step remedial reading and writing program for individuals with language-based learning disabilities. The system specifically teaches strategies for decoding and spelling. It also includes oral expressive language development and comprehension. Visualization techniques are used for comprehension. Based on the Orton-Gillingham teaching techniques. Contact: Wilson Language Training, 162 West St, Millbury, MA 01527-1943: 800.899. 8454, www.wilsonlanguage.com. Dyslexia Training Program was developed by the Texas Scottish Rite Hospital Laboratory. The Dyslexia Training Program (DTP) + Rite Flight: A Classroom Reading Rate Program (RF Rate) and Rite Flight: A Classroom Comprehension Program (RF Comprehension) is a two-year dyslexia intervention that meets the National Reading Panel recommendations as a comprehensive Tier III reading intervention program. This video-based series provides expertise and classroom instruction delivered by a trained professional while an onsite facilitator provides attention to individual needs. he multisensory lessons target six instructional components which include both explicit and systematic instruction in phonemic awareness, phonics, fluency, vocabulary, comprehension, and spelling. For more information, go to community.tsrhc.org/educational-outreach-dtp. Note from editor: There are multitudes of materials available online regarding teaching with multisensory instruction Ã¢â‚¬“ far too many to list here. For more ideas, search for multisensory instructional materials and/or videos on your web browser. My name is Lisa. I am 58 and recently lost my ability to understand what I read due to a TIA. I can read the words but that is all. I was a very avid reader, and miss this terribly. If you can remember what you hear out loud, consider using assistive technology when you read. Graphic organizers like Inspiration can help with reading comprehension; also, access to text-to-speech programs that read out loud for you can also help a lot. There’s information about assistive technology at https://ldaamerica.org/assistive-technology-discover-the-solutions-to-help-you-succeed/ and at http://www.gatfl.org/ There’s also a great app-finder to help you find free/cheap apps that can help a lot at http://www.gatfl.org/favorite-search.php . You should be able to find any number of apps to help you with your basic skills. Natural Readers software is a free text-to-speech software program you can download on your computer at http://naturalreaders.com/index.html. With this program installed on your computer, your computer will read out loud everything on your monitor after you highlight the text. This includes internet sites, email, and word processing documents. Actually, it can read anything you see written on your computer. Voice Dream Reader is an app for your android OR iPhone that lets you use your phone to take a picture of what you want to read and then it reads it out loud to you. This works great for books, magazines, menus, or whatever else you need to read that’s not on a computer. You can check it out at http://www.voicedream.com/reader/ It costs $9.99 at the App Store or Google Play. Voice Dream also has tools for writing. Their website is worth checking out. In the meantime, your brain probably needs time to repair the connections it previously had for reading, so it will probably help to keep practicing, but with short amounts of text. Work on sentence comprehension, then paragraph comprehension. It may help to try the graphic organizer approach at first to help your brain re-learn how to organize the words into something you can remember and comprehend. Contact your local literacy program or adult education center for help learning how to read. In the meantime, consider using assistive technology to give you the ability to “read” the page. There are a TON of apps and assistive technology devices that allow people with learning disabilities to function very well in their school, work, and personal life. For example, speech-to-text software like Dragon Naturally Speaking or Window’s Narrator allow you to talk to your computer and it types what you say. Graphic organizers like Inspiration can help with reading comprehension; also, access to text-to-speech programs that read out loud for you can also help a lot. There’s information about assistive technology at https://ldaamerica.org/assistive-technology-discover-the-solutions-to-help-you-succeed/ and at http://www.gatfl.org/ There’s also a great app-finder to help you find free/cheap apps that can help a lot at http://www.gatfl.org/favorite-search.php . You should be able to find any number of apps to help you with your basic skills. Voice Dream Reader is an app for your android OR iPhone that lets you use your phone to take a picture of what you want to read and then it reads it out loud to you. This works great for books, magazines, menus, or whatever else you need to read that’s not on a computer. It would work perfectly for reading what you need to in order to help your kids with their homework. You can check it out at http://www.voicedream.com/reader/ It costs $9.99 at the App Store or Google Play. Voice Dream also has tools for writing. Their website is worth checking out. Know your learning style(s), and use your area(s) of strengths when you need to remember something. For example, visual learners may want to draw pictures, maps, or charts; or write the information down. Auditory learners may need to repeat the information out loud or use a recording device to hear the information later. Repetition. Once you’ve identified your preferred learning style(s), the more you repeat the information, the more you’ll remember it. Mnemonic devices. For example, to remember the great lakes, many people think of “HOMES,” to remind them of the beginning letters of each lake (Huron, Ontario, Michigan, Erie, Superior). “Chunking,” which means breaking the information into smaller parts to remember the parts instead of the whole. Put the parts together later to make the whole. Rhyming/music/rhythm. Try remembering something by putting it in a familiar song, like the tune of the ABC song. Sounds silly, but it works for lots of people. Actually, the crazier it is, the better it works. Pick one location to keep important items. Make duplicates of really important items. Someone one should offer materials and ideas for free. Every person with a reading problem is not rich! Dyslexia and other undiagnosed reading problems are a life-long handicap for many poorer people. Seeking help should never be embarrassing. I seek help all of the time from friends, colleagues, and staff. I suggest going to your local Library, which typically has reading programs for the public. If you choose to not participate as a group, see if one of the volunteers or instructors will provide private reading assistance. Some Libraries do this as a free service, while others do charge. It is never to late to learn to read. I am proud of you for reaching out. Look online for your statewide literacy organization. They can refer you to a local literacy program. Or look for your local program at https://www.nationalliteracydirectory.org/ While you’re working on improving your reading skills, you should explore the new assistive technology that’s available for free or cheap that can read text for you. There’s information about assistive technology at https://ldaamerica.org/assistive-technology-discover-the-solutions-to-help-you-succeed/ and at http://www.gatfl.org/ There’s also a great app-finder to help you find free/cheap apps that can help a lot at http://www.gatfl.org/favorite-search.php . You should be able to find any number of apps to help you with your basic skills. • Natural Readers software is a free text-to-speech software program you can download on your computer at http://naturalreaders.com/index.html. With this program installed on your computer, your computer will read out loud everything on your monitor after you highlight the text. This includes internet sites, email, and word processing documents. Actually, it can read anything you see written on your computer. • Voice Dream Reader is an app for your android OR iPhone that lets you use your phone to take a picture of what you want to read and then it reads it out loud to you. This works great for books, magazines, menus, or whatever else you need to read that’s not on a computer. You can check it out at http://www.voicedream.com/reader/ It costs $9.99 at the App Store or Google Play. Voice Dream also has tools for writing. Their website is worth checking out. So don’t panic – you should be able to read just fine with access to affordable or even free technology – so don’t wait to start using it! My name is Ann and I have been a special ed teacher/literacy specialist for many years. I live in Easton, MD. I am in the process of cleaning out a few things from my house and I have a wealth of Project Read materials that have hardly been used ( I used to tutor with these materials, but because of my current job in the last several years I no longer tutor). I would love to donate them to someone that would be interested in having them. I could send pictures so you can see what I have to donate. I travel for work so I could possibly deliver them if I was in an area where they were wanted, or could drop them off . Please let me know if you would know someone who might use these- or someone I could contact to see if they are interested. 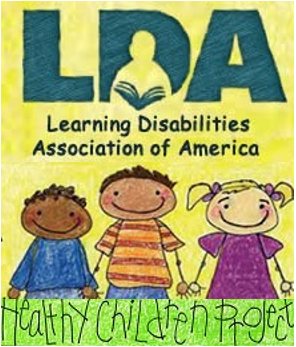 LDA has a Chapter in Maryland. The contact person is Judith Lantz PO Box 744 Dunkirk, MD or email LDAMD@ldamd.org I am sure someone would value your resources. 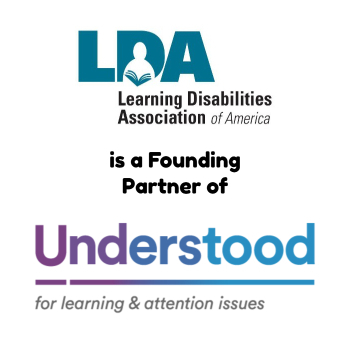 Thank you for thinking of LDA. There are many people in their program that struggle with learning to read. Do you have any of these items left? Would they help if I am teaching an adult to read. If so, I would love a few of them. Also, while I have you here, I am an adult who is fluent in reading and writing, but, by no means a teacher. I am going to help an adult friend learn to read. Several have started the task, but no one has gone the distance. Any advice? I’m very much interested in your Project Read materials. Thanks brother for being kind and generosity am a south Sudanese and am more then happy to ask the material you have mentioned. For i believe that your materials could impact lives in my communities which is one of the under developed place in the world, illiteracy is the norms with a lot of negative things happening as the result and if you don’t main this may also further our relationship as totally friends just. Thanks in advance. awaiting to hear from you.